Find The Kid In You! Join the event and support a great cause! 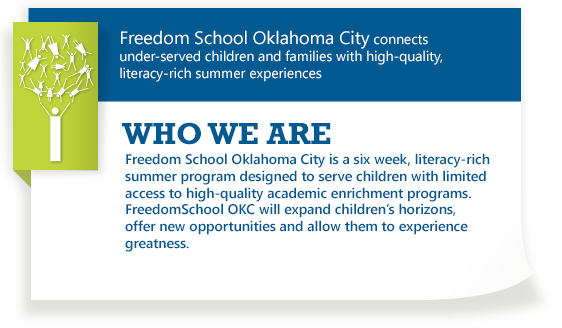 FSOKC will accept applications from April 1- May 18, 2019 for the Summer 2019 program. Applications should be printed, completed, and then mailed to Freedom School's PO Box. Please ensure proper postage for guaranteed delivery. 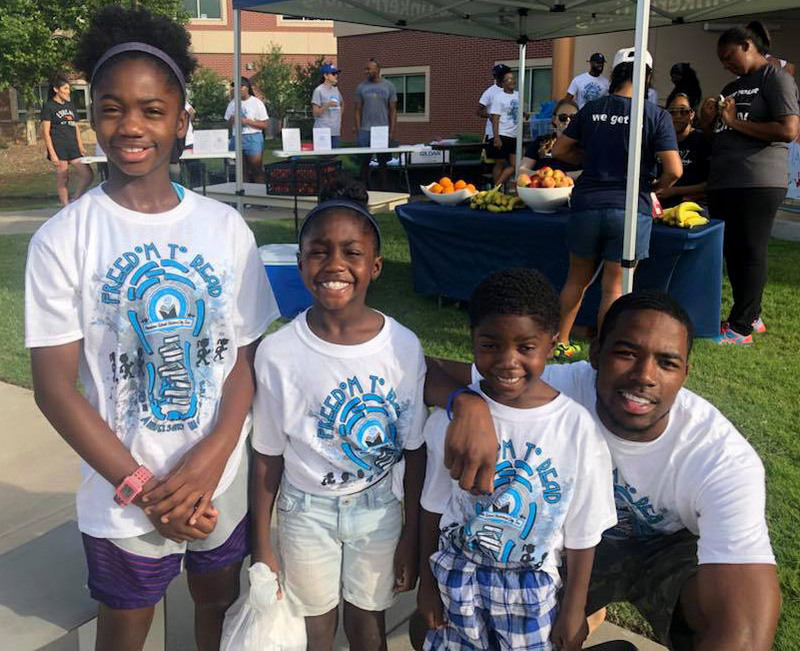 FSOKC operates out of free program space at Metro Tech and the staff of Freedom School is not on site until the program begins. If you have questions about the program, please email Amy Brooks Young, the Executive Director of FSOKC, at amy.brooks@fsokc.org. Acceptance letters will be mailed no later than May 24, 2019.